Oh c’mon now. You had to see this coming. Visibility on this one was unlimited. Southwest Airlines is in full jab and tweak mode on JetBlue after the latter announced Monday it would begin implementing baggage fees next year, leaving Southwest as the only major U.S. carrier to not to charge passengers for their bags. 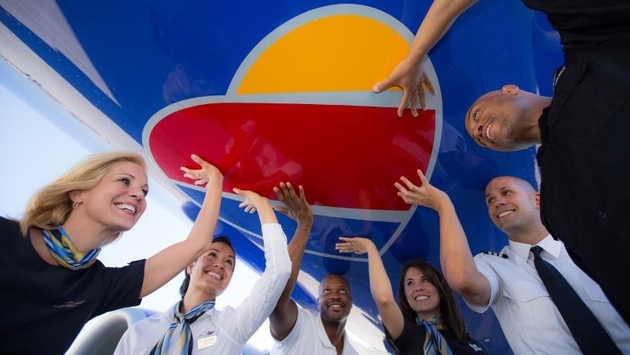 Chief Commercial Officer Bob Jordan took to Southwest’s blog with a message for employees and customers alike. On both Facebook and Twitter, Southwest offered followers a sneak peek at a new commercial that will begin airing this weekend that again touts the airline’s baggage policy of two free checked bags.